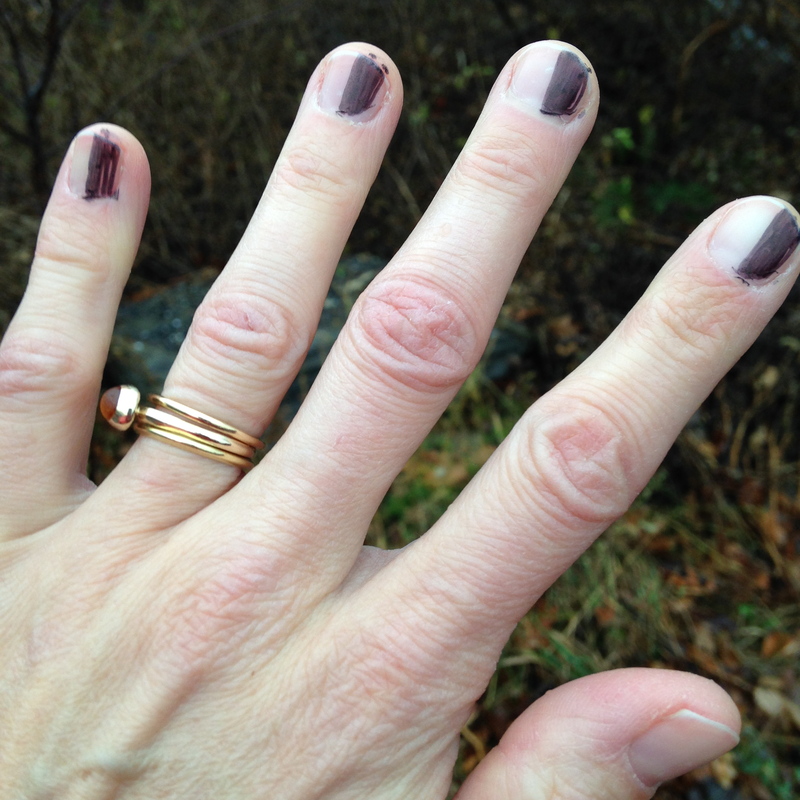 Sharpie manicure to encourage proper LH hand position. I often find myself happily trimming fingernails for young students at lessons. Trimmed fingernails are critical on Left Hand fingers 1-4 and Right Hand Thumb and Pinkie. Students are free to go crazy and grow the other ones. I have one memory of my teacher, Barbara Embser as a 4 year old in which if my fingernails were not trimmed, she would break out a pair of giant scissors and trim them. It was completely terrifying! I don’t remember anything else about Mrs. Embser, though I certainly remember the songs she taught me! I get to teach them now myself. Anyway, I’m happy to trim nails, though I worry I may trim a bit of skin and make the child cry and that would be horrible! My other manicure service is painting the thumb side of the left hand fingernails 1-4. I usually do it with a Sharpie, though sometimes I have some quick dry polish. Ideally, the students finger will touch down on the string on the fingertip below the colored part of the nail. This helps build a very nice left hand and if the fingers press down in the right spot I don’t have to nit pick about where the elbow or how the wrist looks or try to get the student not to grip the fingerboard tightly.